Remember how Jarrod would just be red and cry? @AllAboutLove. Something is not right. There’s a bad edit and then there’s a Taite edit. It’s so subtle but ever present. It’s like it’s hidden from all but a force eitherway. I’m wondering if he does a miraculous u turn or if Ali is blindsided by him which seems to be part of her arc. The other option is Charlie is the baddie and they can’t edit out Taite on his coat tails. @Sundy I think it's called the "American" edit. Typically so many of the F1s on the USA Bette are not edited well at all. Works out just fine for them as those ones seem to last the longest. In regards to Taite posting the pic of him and Charlie, I don't think it is a negative about Taite and Ali. I still think they're together and he is F1. Below is Taite in the preview taking Ali's hand and away from Charlie and Nathan are arguing. This after their date tonight. Shows me he is with Ali and I likely sees Charlie as an ally who had Ali's (Taite's now girlfriend) back and thus why he posted the pic of Charlie and him. Plus, I don't see hardly anyone on SM complaining about Taite. The negative comments are about Charlie who is the forefront. I expect that to change when Charlie leaves and if it is only Todd and Taite. Not even edit at that point, imo, it's just a case of deduction when a fan fav is F2. I expect that it will be seen as F2 can do a lot better than Ali at the end of this especially considering the rumors. So Taite having his gf back isn't really different from other leads/F1s who were accused of the exact same things (Jordan F1 for JoJo Bette US) and they had tons of backlash because of it but still together. 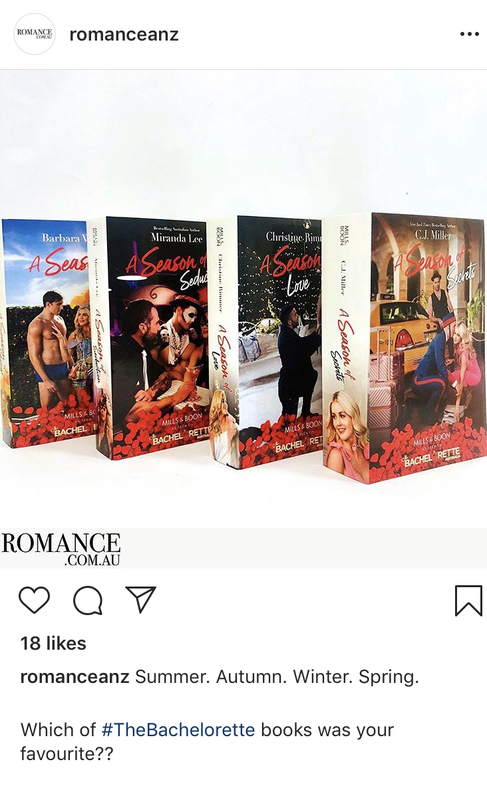 If anyone wants to try win a set of the books! Can win per instructions on this FB post! Go for it! Also if you didn't yet see it, check these out @LeapofFaith. @AllAboutLove wrote: Go for it! Also if you didn't yet see it, check these out @LeapofFaith. I laughed so hard Absolute GOLD!